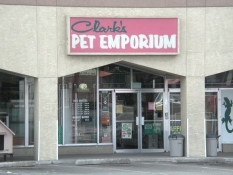 Clark’s Pets has been serving the Albuquerque community by selling them the best pet supplies for over 40 years. Our dedicated team of pet supply experts is available 7 days a week to help you find what your pet needs to stay healthy and active. If your local shop doesn’t offer you pet supplies like we do, with our variety and knowledgeable staff, then you’re going to the wrong pet shop! Yep, hedgehogs! If we don’t have the pet supplies you need for your pet the chances are good that it’s not a domesticated animal! And if it isn’t, come by anyway, we may still very likely be able to help. Did you not see what you wanted on that list? Please call and ask, odds are we do indeed have it in stock. With over 10,000 items between our 2 stores it is very rare we are found to not have the pet supplies our customers in Albuquerque need. Our pet shops have a large selection of pet supplies in Albuquerque.